Santa Rosa De Lima Day in Peru is always on August 30th each year and commemorates Saint Rose of Lima who is the patron saint of Peru. People celebrate by attending the procession that takes place at the Church and Convent of Santo Domingo where her remains are down to Lima's Cathedral. Many will also visit the Church of Saint Rose of Lima in honor of their patron saint. 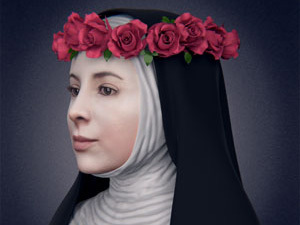 Saint Rose of Lima was born to a Spanish father and her mother was of Indian descent and one of 13 children. She grew up poor but had a strong devotion to the church. Her devotion and good works were recognized by the Dominican Order and allowed her to join their Order. Rose would practice some extreme forms of devotion including wearing a spiked crown around her waist under her clothes. She was recognized for her unusually strong devotion and later beatified in 1667 making her the first person born in the Americas to be a saint. Provides the dates for holidays for the calendar year for Peru.